Landmark AHC was established in Dawson Springs 86 years ago in the spring of 1930. It began when a traveling Evangelist by the name of Sis. Isabelle Flowers, accompanied by another sister whose name has been lost through time, came to this bustling little coal and mineral-water town located in the coal fields of western Kentucky. They held a lengthy tent revival on a lot east of downtown, and out of that revival rose a congregation of Holy Ghost filled believers. Before winter weather set in, this industrious group had built a nice church building in which to worship. The church on West Arcadia Ave. (US Hwy 62) and Trim Street served as home to the Independent Holiness Church of God. This was, and still is, a Oneness church that has never been associated with the Church of God denomination. Arriving in Dawson Springs from nearby Beech Creek, Kentucky, Rev. Vernon Hardison served as the first pastor. After several years, he was followed by Rev. John Penrod, who, in turn, was followed for a short time by Rev. Tommy Stevens. Next came Rev. Oscar Hughes. In 1946 Rev. Wilbur Sizemore served a two year stint in the pastorate, before Rev. Edwin J. Bayer from Birdseye, Indiana came to pastor the church. The Bayers pastored up until 1954, when they made the decision to return to Indiana. Following this, Rev. Wesley Miller, and then Rev. V.V. Haggard filled the office. It was during Rev. E. J. Bayer’s tenure that the congregation voted to change its name to Apostolic Holiness Church. It was in the fall of 1 957 that Rev. and Sis. E. J. Bayer returned to Dawson Springs and pastored the church until his untimely death in 1971. In the late ’50’s Rev. Bayer brought the church into association with the United Pentecostal Church International. Following the death of his father, Rev. David Bayer served as pastor until 1989. 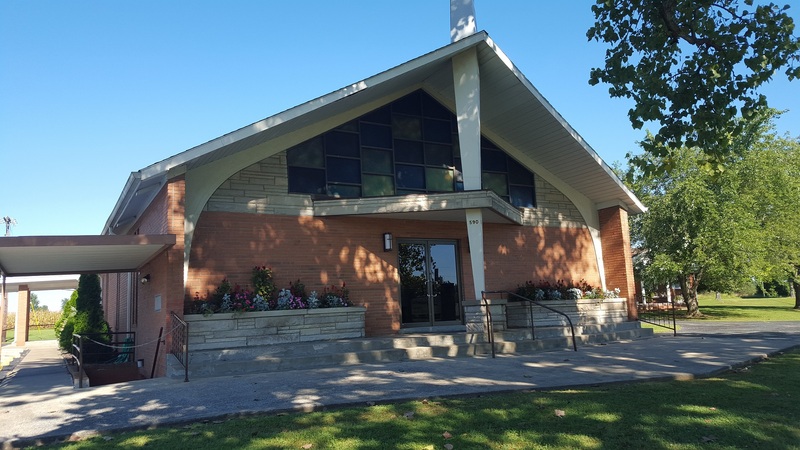 The place of worship on Trim street served the growing congregation well for several years, but the need of more room and better facilities brought about a re-modeling project in the late ’40’s. By the year of 1956, a basement had been added for Sunday School rooms. As the church grew to standing-room-only crowds, a search was made for a place to relocate. 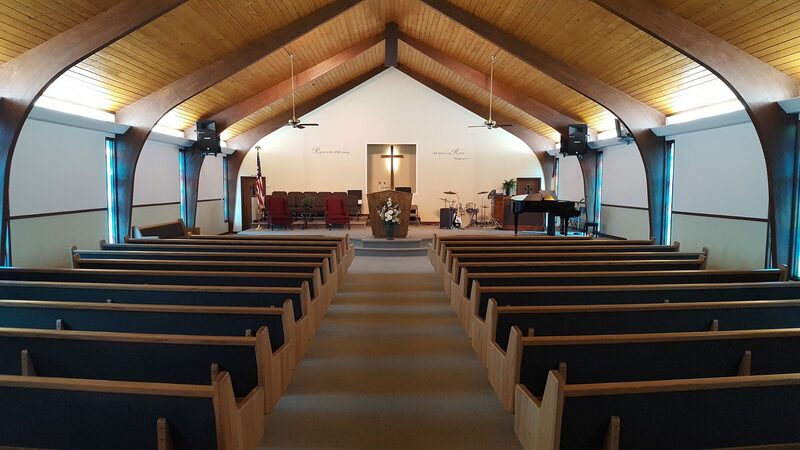 In 1972, the congregation purchased a 20-acre lot on the corner of Highway 109 and Rosedale Lane in Dawson Springs, and soon thereafter, work began on a large new sanctuary. Dedication of the new building was held in October of 1974. The dedication sermon was delivered by Rev. Joe David Sizemore, who had grown up in the church and now pastors in Cincinnati, Ohio. In 1989, Rev. David Bayer took the pastorate of Faith Temple United Pentecostal Church in Evansville, Indiana. The congregation then elected Rev. Robert E. Akers from Prescott, Arizona as the new pastor. Pastor Akers and his wife Glenda have two sons and two daughters-in-law. The eldest son, Bro. Rob, served as Assistant Pastor at AHC. He also taught high school at Heritage Christian Academy in Hopkinsville, where Sis. Ginger, his wife, was a part of the office staff. He also served as Youth Leader of Section I in the Kentucky District of the UPCI. He pursued his Master’s degree in Administration. On January 6, 2008, Pastor Akers became the Bishop (a.k.a. Senior Pastor) of our church when his son Bro. Rusty took on the mantle of being the pastor. To learn more about Pastor Rusty Akers and his wife, Sis. Mandy, please visit the Our Pastoral Family page.